The Pebble isn’t perfect, but even with its faults it is an impressive way to receive information and interact like never before. Smartphones may be a hot item now, but the wristwatch has been an iconic statement of jewelry and technology for hundreds of years. Now, the latest, greatest idea is to merge the two. Hoping to accomplish this, a group of developers went to Kickstarter, and ran the most successful fundraiser ever for the website, raising more than $10 million. But does the Pebble smartwatch live up to the hype, or is it destined to fall into the trash bin of great ideas that never came together? 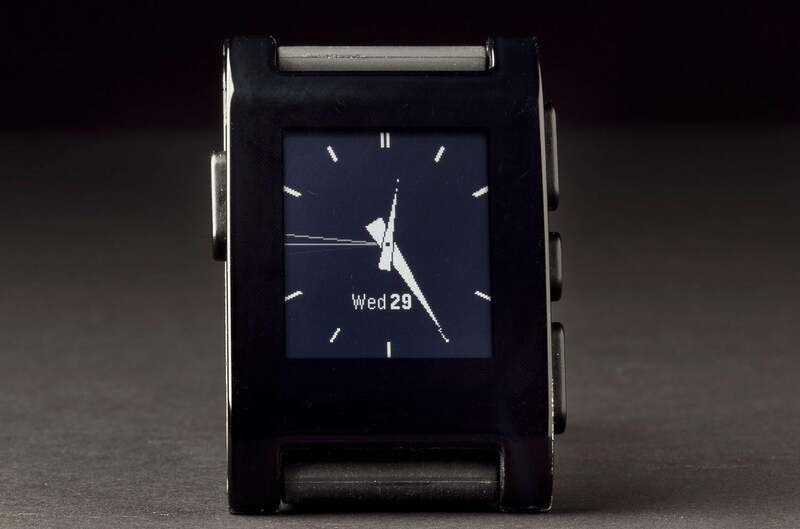 The Pebble smartwatch features a black and white, 1-bit display with a 144×168 pixel backlit LCD screen. While these specs for any other device would be pretty terrible, the Pebble has some impressive hardware compared to most watches out there. 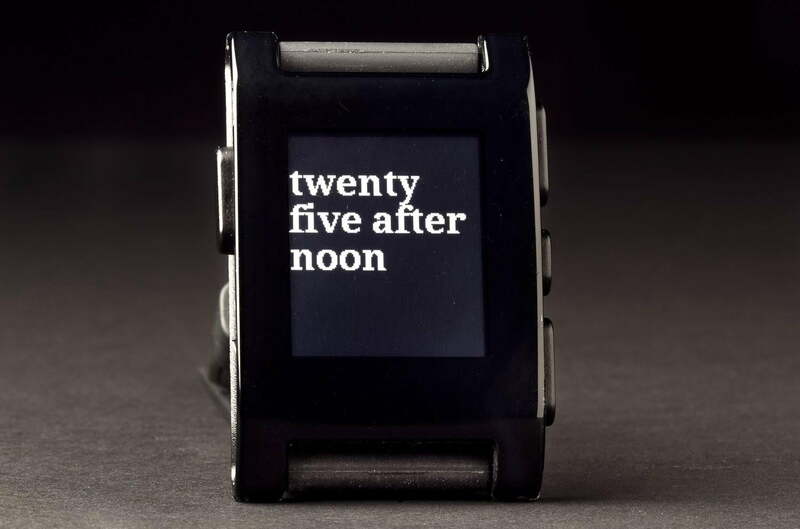 While it comes encased in plastic and is certainly no Rolex, the Pebble prefers brains over brawn, featuring an ARM Cortex-M3 processor, and Bluetooth connectivity along with a 3-axis accelerometer, gesture detection, and an ambient light sensor. The Pebble is also rated against up to 5 atmospheres of pressure – meaning you can take it along for a swim or shower, but don’t scuba dive with it. One odd omission is an audio output of some kind, like a beeper, which would help with things like audio alarms and such. Another minor hardware issue is the quality of the display itself, which appears to have issues with polarized lightning, and looks distorted if you view it at a strange angle, with polarized glasses (like sunglasses), or in other unusual lighting scenarios. 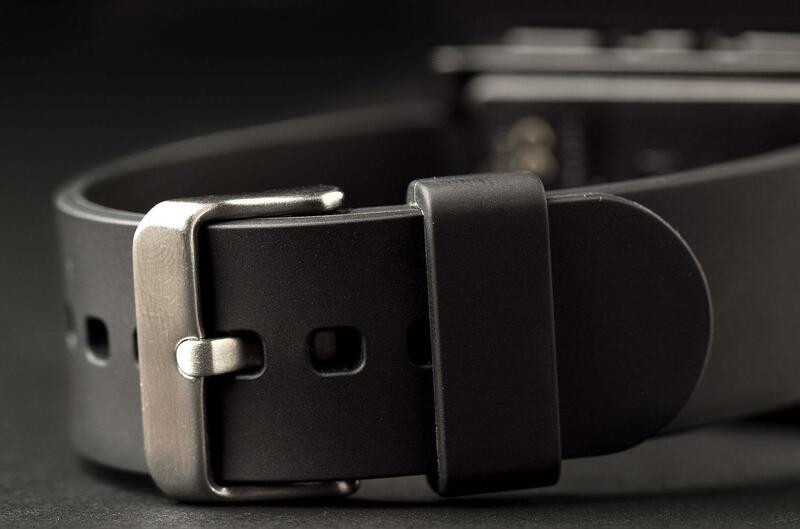 The Pebble’s design is much like any other average watch, coming with a variety of simplistic colors, a straightforward rectangular shape, and an average, run-of-the-mill polyurethane wristband. The band is a 22mm fit. 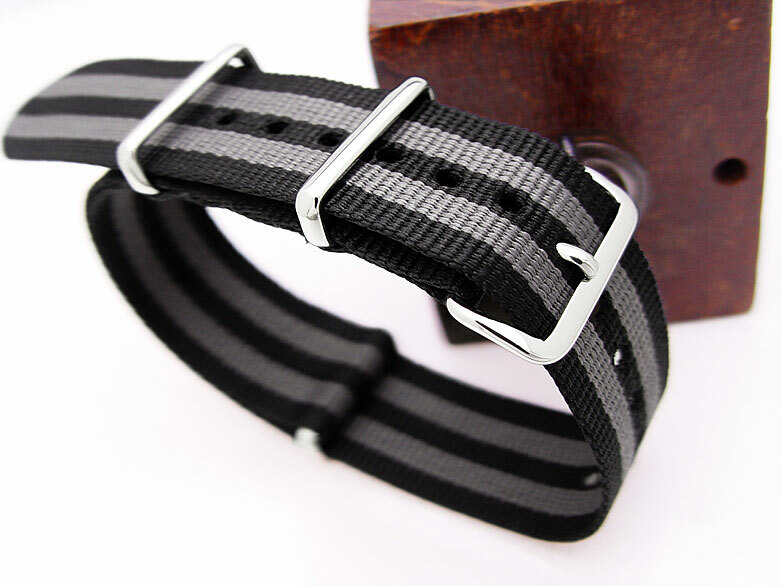 We chose to switch it out for a much lighter and sleeker NATO watchband. This kicks the Pebble’s style up a notch. Our experience with the Pebble began with a quick and easy Bluetooth pairing with our Android phone. The Pebble’s primary role is to give you quick access to notifications from your device, which can be anything from mail, to text messages, incoming phone calls, and more. If you want more notifications than what Pebble supports by default, there is already a third party app on the Play Store that lets you include notifications from any app on your Pebble. Unfortunately, so far, the notifications you receive are limited for a few short words, and if a message is too long it will cut off rather than send the full notification to the Pebble. The notification flaws make the experience feel incomplete, which is disappointing given the great hardware powering the Pebble. With the help of a few apps, you can now reply with pre-created messages, and interact in other ways with your phone through the Pebble. Despite this though, the lack of a color display or touchscreen appears to limit a lot of long-term developer capabilities in 2-way communication. Of course, next to notifications, the other important task for the Pebble is timekeeping. Unlike notifications, which require pairing with a phone, the Pebble can handle timekeeping all by itself. Still, even with this feature, it does talk to your phone to ensure it’s synced up to your phone’s current time zone. More importantly, through the Pebble app on your phone, you can select a variety of watchfaces to spruce up your watch. The watchfaces available range from average analog and digital clocks to ‘experimental’ styles, with more coming out every week. You can scroll through the watchfaces with the top and bottom buttons on the right side of the watch, though there is no way to lock a preferred watchface, which can become problematic while trying to scroll through notifications. As we began to use it more, we realized just how addicting the Pebble really is. We never realized how inconvenient it was to constantly check our phones for updates. The Pebble makes it a breeze to be on top of everything; it will even vibrate whenever you get a call or a message. After a few weeks, we were constantly be checking our wrist for messages, which is a little more covert than whipping out a smartphone while on the go. If there were a word to best describe the Pebble OS experience, it would have to be ‘finicky.’ Robust hardware powers the Pebble, but it falls short in the Q&A department. There are a lot of little problems with the software. Trying to view the Pebble in the dark will often either close a notification or change a watchface, as the buttons used to turn on the backlight are also used for scrolling or dismissing notifications. To add to this confusion, watchfaces are easily switched through scrolling, which is a blessing and a curse. It means you can have a set of watchfaces with a variety of purposes: a watchface for the time, a watchface for the weather, and so on. On the other hand, there is no way to remove the default watchfaces or limit scrolling, meaning you will often scroll through a lot of gimmicky watchfaces to find the one you were using in the first place, even if you set that watchface to default. Having no way to remove default watchfaces also proves troublesome when wishing to go beyond the meager third-party app limit for the Pebble. And as we already said, the Pebble notification system is far from where it needs to be. Notifications are too short, there are limited ways to interact with them, and there’s no way to pull up previously (or accidentally) closed notifications. The notification flaws make the experience feel incomplete, which is disappointing given the great hardware powering the Pebble. A recent update allows the Pebble to receive multiple notifications at once, but it appears memory limitations of some kind are preventing longer messages from appearing. While this makes reading messages from friends or from work convenient, automated messages from companies often use up the message space. This makes the experience fall short and have you rely more on subject titles than actual text. It’s probably also worth noting the Pebble devs didn’t think to ship it with a stopwatch or timer. A lot of similar “must-have” features behind most watches are instead up to the developers to create, and up to you to find/download. There is an official store, but it has a limited app selection. Simple things like a stopwatch app are only available through third party app stores and requires a much more complicated downloading process. You can take it along for a swim or shower, but don’t scuba dive with it. Our best guess regarding all these software issues and inconsistencies in the Pebble experience is the fact the folks behind the Pebble looked to get this overdue smartwatch to backers as soon as possible, and (possibly) sacrificed software testing in favor of hardware quality and the eventual release date. We commend the Pebble for its solid hardware and innovative design, but it looks like it’s up to the community to truly fix this device through its SDK, though we won’t be surprised if the Pebble OS goes through a major overhaul or two in the future. The SDK is now out so developers can do their thing, and as more Pebbles ship, hopefully the team will spend more time on the software. We should note that Pebble did go out of its way to get a Snake app on the store recently as a sort of “proof of concept” for Pebble gaming, and it demonstrates some potential inside the tiny watch. The Snake app plays just like the one on your ancient Nokia candy bar phone. Other games like Tetris and Breakout from third party developers are also available, showing some promise that developers will create more Pebble games. 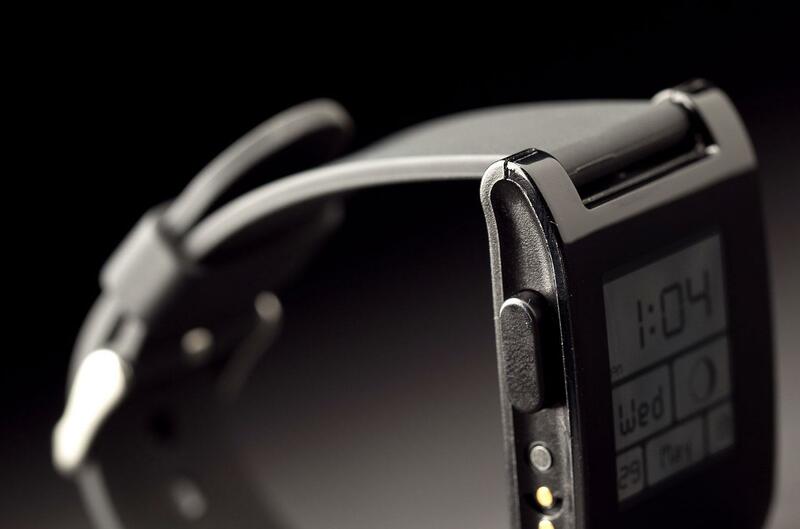 A 140mAh lithium ion battery about 10 times smaller than the one in your smartphone powers the Pebble. The battery seems tiny – even for a watch – and the battery performance of the Pebble reflects this. While your average watch will often go months – if not years – before needing a new battery, the Pebble won’t last a week without charging, which is handled through a specially designed adapter that magnetically attaches to the Pebble. We’re sure weight and production costs were a big concern for the Pebble developers, but every smart gadget needs its fuel, and we would have loved at least two weeks of life out of our Pebble. Nonetheless, a week is still a decent battery life, and you won’t be too inconvenienced by the short charge time it needs. One major caveat of current software is the lack of an actual battery meter to follow usage with, meaning you will only know how low your battery is when you get the low-battery warning, which often means you have about a day left of usage before your Pebble will run out of juice. In other words, you only get a 24-hour warning on your battery life, and it seems this status wasn’t even given space in the Settings area of the smartwatch. There’s nothing out there like the Pebble. Once you get past the limited software capabilities, modest battery life, and lack of a speaker, you still have a watch unlike any other. 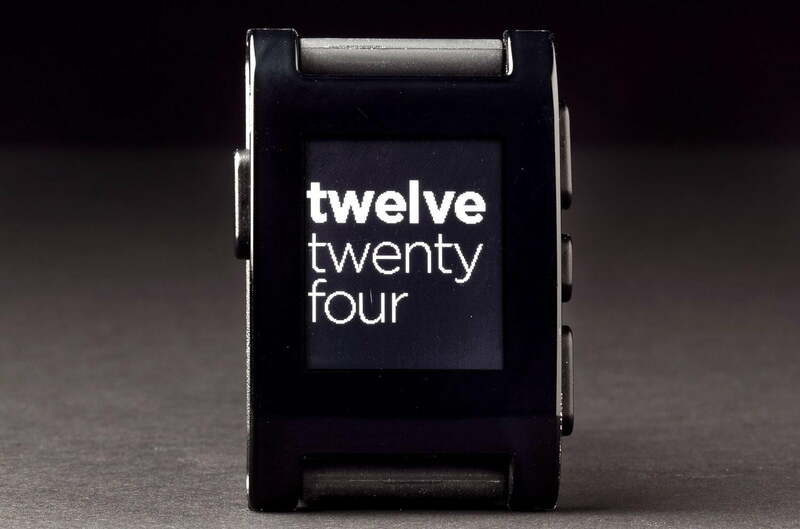 While it certainly has a way to go before feeling complete, if the software issues are ironed out, the Pebble will be an excellent choice for those looking to buy a stylish gadget that offers a capabilities like no other watch out there. Until then, it’s pretty cool, but know what you’re getting into before you buy. 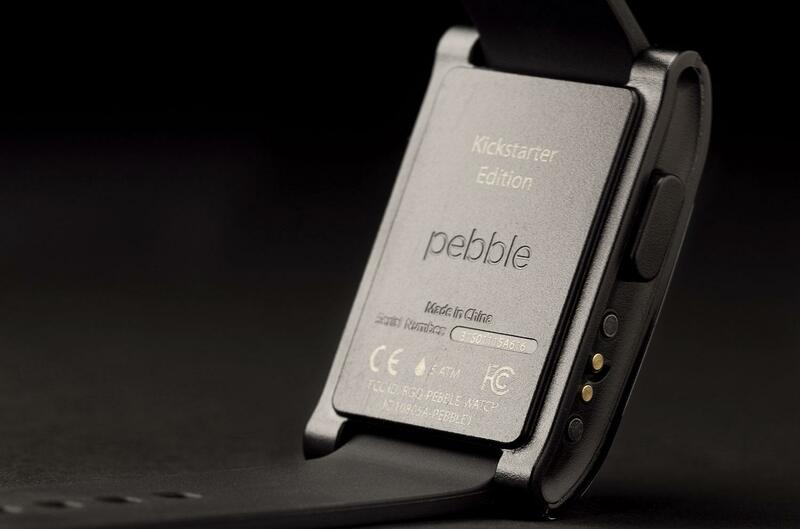 The Pebble costs $150 and you can order it at GetPebble.com.